You can now check the river flow via the Canal & River Trust website. This will make things much easier when deciding whether it is safe to boat, and save the team at the Barrage from being bombarded with phone calls! There is now a permanent link to the relevant website on the Tees Rowing Club homepage. Look on the right hand side of the page for the River Flow link. This will point you to the right website, and give you a handy reminder of the maximum flow for safe rowing. Click "Read More" to view December's minihead results. 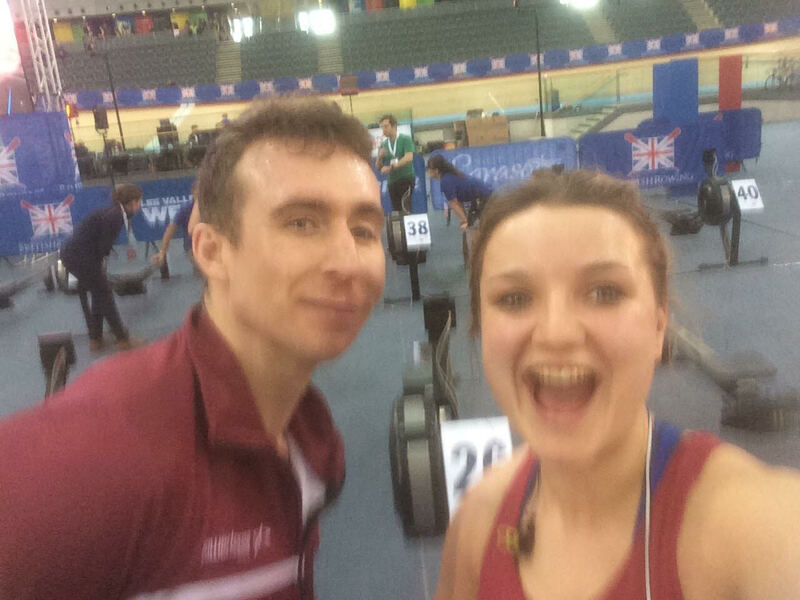 I'm really chuffed to update you all about today’s results at the British Rowing Indoor Championships results. Yet again both current and past Tees Para athletes have produced some great results. Ian Ronal is being coached at your club and was entered in the men’s PR3-PD 2000m event. Result 6.51.4 - 2nd overall. Ella Holloway was coached for one and a half years at Tees and developed from a novice para to a performance athlete before leaving due to work and is now at Marlow. Ella keeps in touch with the squad and today was entered in the Women’s PR3-PD 2000m event. Result 8.13.4- 1st overall. The pair met up for a photo at the venue. Well done guys a superb effort at a major event. Tees LDS and SBH results now published!